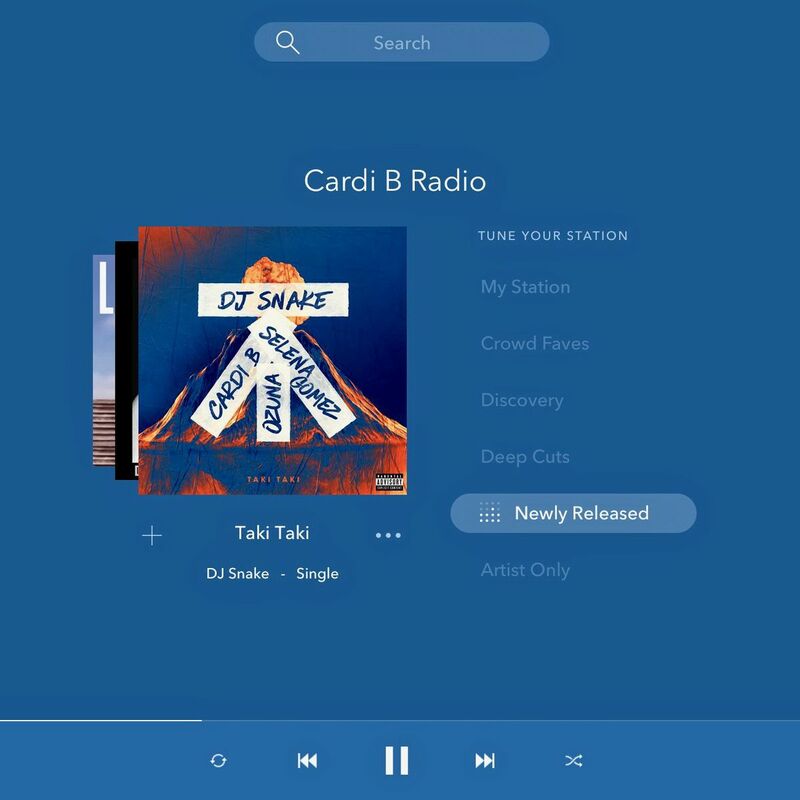 Pandora is giving listeners more control over what songs their customized radio stations play with a new feature called Pandora Modes. Pandora’s classic algorithm has long chosen what plays when you start up a new artist station, but these alternative modes let you switch to other types of curation for different experiences. Modes work better the more you interact with the service while listening. Every thumbs-up or down on a song further informs what tracks Pandora will send your way. There are now six listening modes: My Station, which is Pandora’s original algorithm; Crowd Faves, which will favor the songs that get the most thumbs-ups by other users in that station; Deep Cuts, which will serve up lesser-known songs by an artist or in a genre; Discovery, which will play more artists that aren’t usually on that station; Newly Released, which will only pick the newest songs from an artist or in a genre; and Artist Only, which will let you binge entirely on a single artist’s catalog. Pandora has been making a lot of changes in the way content is consumed on the platform. For example, its recent Stories tool merges podcasts with music in order to let podcasters experiment with new storytelling formats. Modes is another shift that can expand upon different types of user listening habits, letting someone binge on just listening to The Beatles, for example, or stick to just newly released songs in a genre. Pandora’s new Modes launches today for free and Premium listeners.